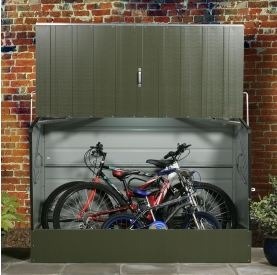 It’s clever (spring assisted) opening action allows complete accessibility and up to four padlock points ensure your cycles are well protected from both the weather and thieves. 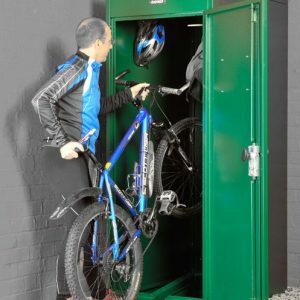 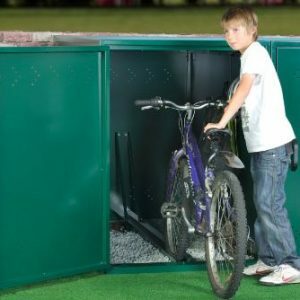 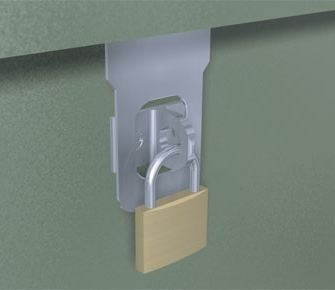 This bike locker unit is designed to be bolted down onto a hard (concrete) surface from the inside and is manufactured in the UK using a special PVC-coated galvanised steel which is maintenance-free, fire-resistant and guaranteed for 25 years. 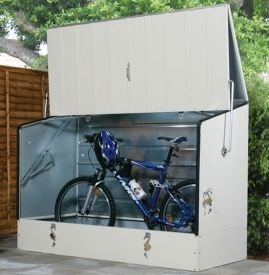 A choice of two attractive colour schemes are available to suit your location, either two-tone green or all cream. 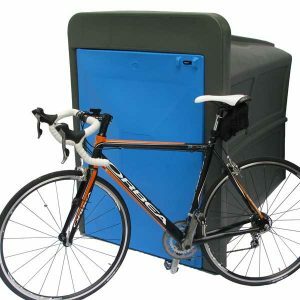  Due to the ample height and width of the product it is suitable for most types of racing, mountain, hybrid or children’s cycles.